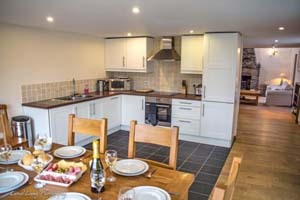 Luxury self-catering with hot tub in highland Perthshire. 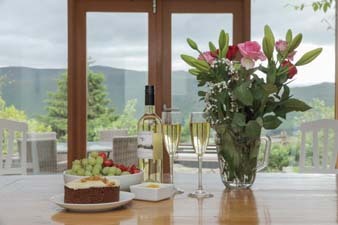 Nestled in the sleepy highland estate of Craggantoul in the heart of Highland Perthshire, near to the picturesque village of Kenmore, the Barn has been lovingly converted into a luxury holiday cottage, which offers guests beautiful accommodation and breathtaking views over the rolling meadows, ancient woodlands and Loch Tay. A perfect hideaway! 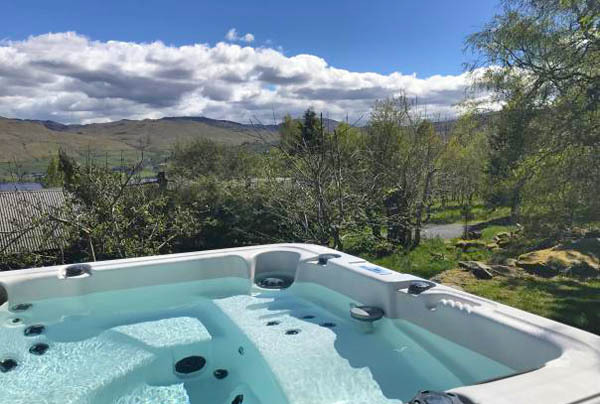 There is now a private hot tub for guests to enjoy the stunning views over the waters of Loch Tay. The Barn sits at the foot of the mighty Ben Lawers mountain, the tenth highest mountain in Scotland, where the roe deer roam freely and the eagles soar high; the sunsets and sunrises are magical and serene. 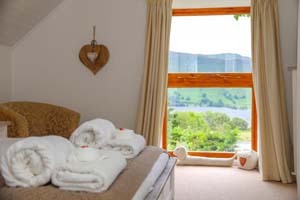 Guests have access to some 40 acres of land to stroll through, past the duck pond, orchards, the lake, streams and through the ancient oak forest down to the shores of Loch Tay, where fishing is permitted. Craggantoul is conveniently located just two hours from either Glasgow or Edinburgh and the area is rich in history, wildlife, activities and attractions. It is possible to choose from watersports, walking, fishing, golf courses, castles and distilleries - all on the doorstep. The Barn has been newly refurbished and is spacious and comfortable, perfect for family breaks or groups of friends and now has a private hot tub where you can relax and enjoy the amazing views! 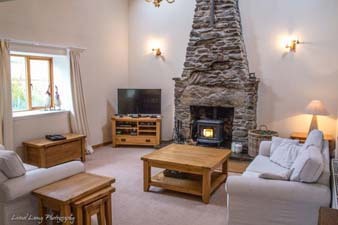 The living room has soft, light woollen carpeting and fresh cream sofas, which sit in front of the toasty log burning stove and full baskets of freshly cut logs from the grounds of the estate. Help yourself to books from the bursting book case, and wander through to the spacious oak floored dining area and the bright new kitchen with all the mod cons. The light and modern family bathroom on the ground floor has a deep bath for guests to sink into at the end of a day on the hills. 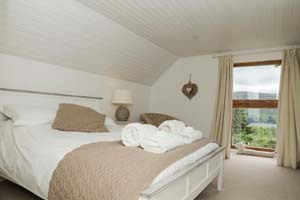 Upstairs are three comfortable double bedrooms, one of which is ensuite. The master bedroom, with its luxurious memory foam mattress for ultra comfort, offers spectacular views over the stunning scenery and is the perfect outlook for Craggantoul's wildlife and the ever changing skies over Loch Tay's deep waters. Heating and firewood are included. Crisp, white Egyptian cotton bed linen, fluffy bath towels, hand towels and bath mats are all provided. Also supplied are a hairdryer, luxury hand soap, spice cupboard, initial supplies of loo roll, bin bags, dish washer tablets and washing up liquid. The Barn is rented throughout the year. During the peak seasons, the property is rented out on a weekly basis and the change over day is Saturday. Check in time is 4pm and departure time is 10am. 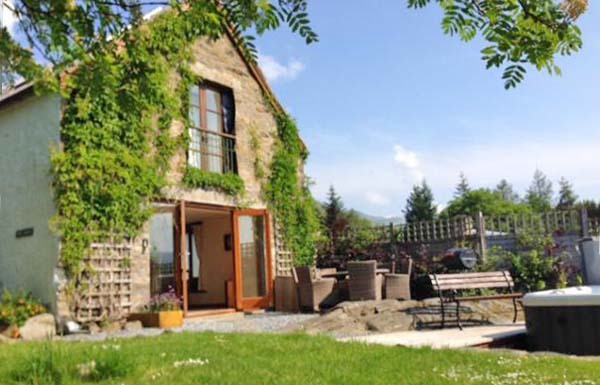 The Barn is available for short breaks for a minimum of 2 nights out of peak season. 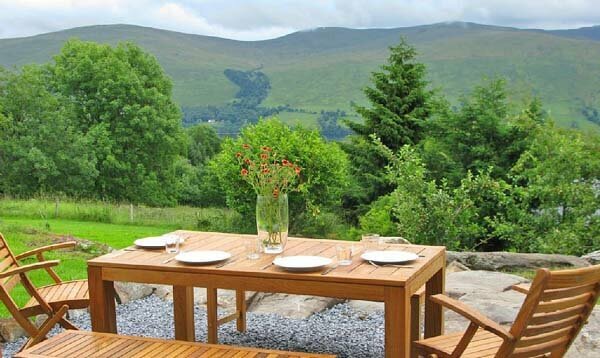 To book this self catering hideaway with stunning views over Loch Tay, click the enquiry button below and see availability and prices. This is a gorgeous property and is a perfect hideaway in an idyllic location. Loch Tay offers watersports and fishing and there is much to see and do in the local area.